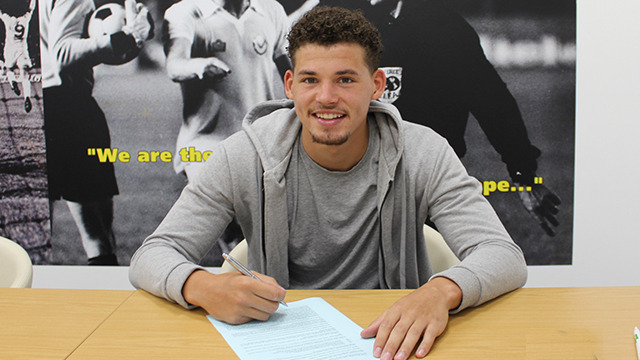 United midfielder Kalvin Phillips has committed his long-term future to the club after signing a new three-year deal at Elland Road. The 20-year-old, a product of the Thorp Arch Academy, has put pen to paper on a contract which sees his United stay extended until at least summer 2019. Phillips, who first joined the club aged 14, featured 10 times in the Championship last season after making his first-team breakthrough during the closing months of 2014/15. “I’m buzzing, it’s a great achievement for me and my family,” he told leedsunited.com moments after signing his new deal. “I’m just happy that the gaffer has got trust and belief in me. “I’ve heard a lot of good things about him and that he’s good with the young players. He’s obviously a good manager who has managed at the highest level. “Personally, I want to do better than last season and get more game time. I want to be playing consistently and perform well when I get the chance.